Very well appointed for the size of the craft. You will appreciate how well the space has been used on this boat. The original hull was purchased in September 1990. She was launched in 2009. 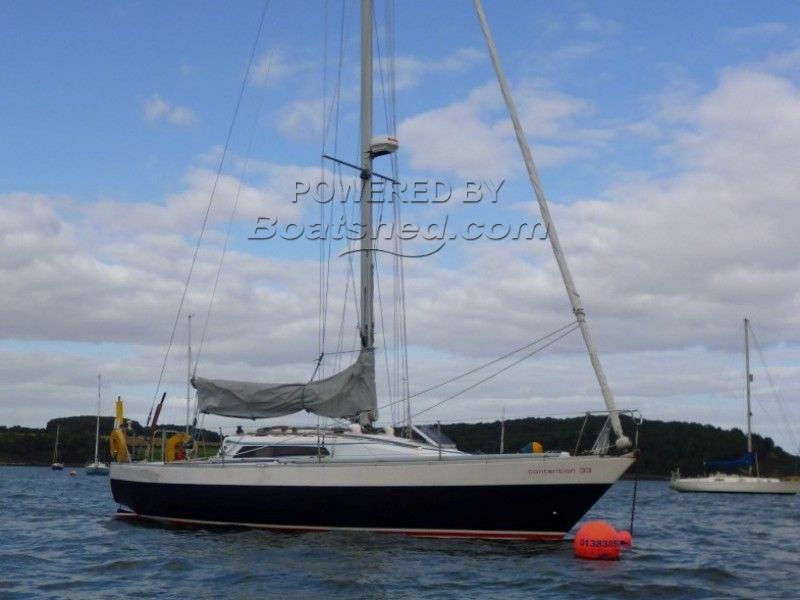 This boat was launched in 2009 and has been a source of great enjoyment for the owner since. The hull was purchased from Southern Ocean Shipyard in Poole. The interior has been carefully finished out by the present owner with many thoughtfully designed features. The finish is iroko hardwood and stripey sapele wood on many of the doors. On deck, the spars and rigging are to a high standard with a good complement of cockpit instruments and navigation aids. All major components of this boat are new since 2009 when she was first launched. Her feel is of a newer boat that has been lovingly cared for. She has a rolling winter storage cradle that is used to simply and effectively launch and recover her from a slipway. This would make out of the water inspection simple and without cost. The cradle is available separately and the price is negotiable. Work performed during the summer of 2015 includes re-varnishing, new anodes, engine service, replaced keel plates with heavier versions, instrumentation serviced. This boat is in regular use but the owner would like to down-size to a smaller boat. Quality part exchange boats in the 27ft range might be considered. View the photographs to get a good idea of what this boat is all about. This Contention 33 has been personally photographed and viewed by Martin Docherty of Boatshed Scotland. Click here for contact details.